Welcome to the 1st Friday in March and you know what that means! It's time for a brand new blog challenge. 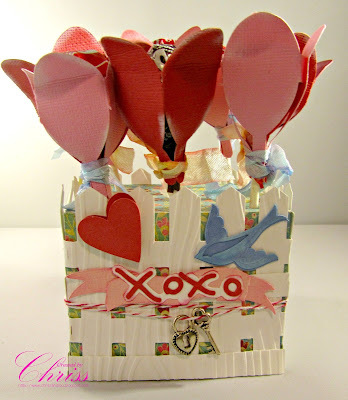 But first, we have the gift certificate winner and our top 3 projects to announce from Friday Challenge 60 - "Use Your Scraps!". Thank you for playing along and sharing your inspiration with us! As always your projects are wonderful and we love to see your creations! Good morning! Alicia here today with the new monthly challenge: Welcome Spring! I am sure you have all heard the above proverb. 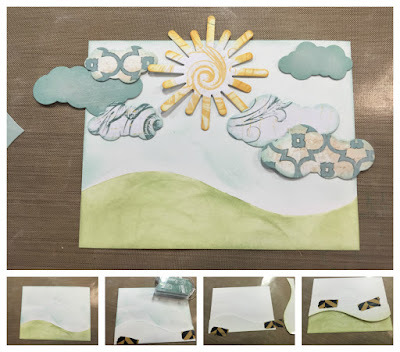 March weather can be so unpredictable, so really any weather related project will work with the theme. I have designed a few different weather related cards to inspire you. I simply used Feather Gray - PowderPuff Chalking Ink over a raindrop stencil. 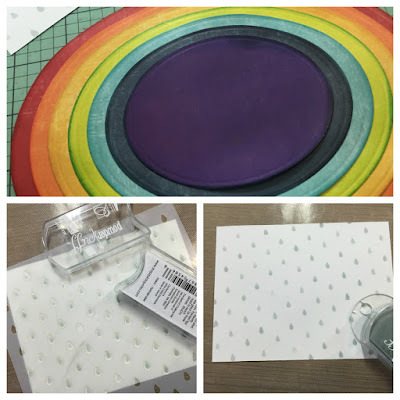 Next, I layered seven different ovals in rainbow sequence and cut the stack in half. 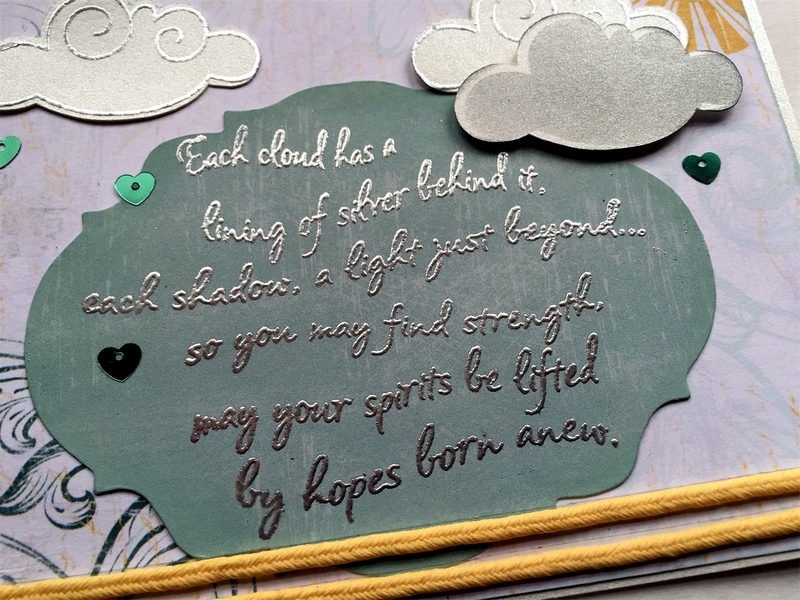 I die cut some clouds and stamped the sentiment. Generously edging every element with PowderPuff Chalk Inks. 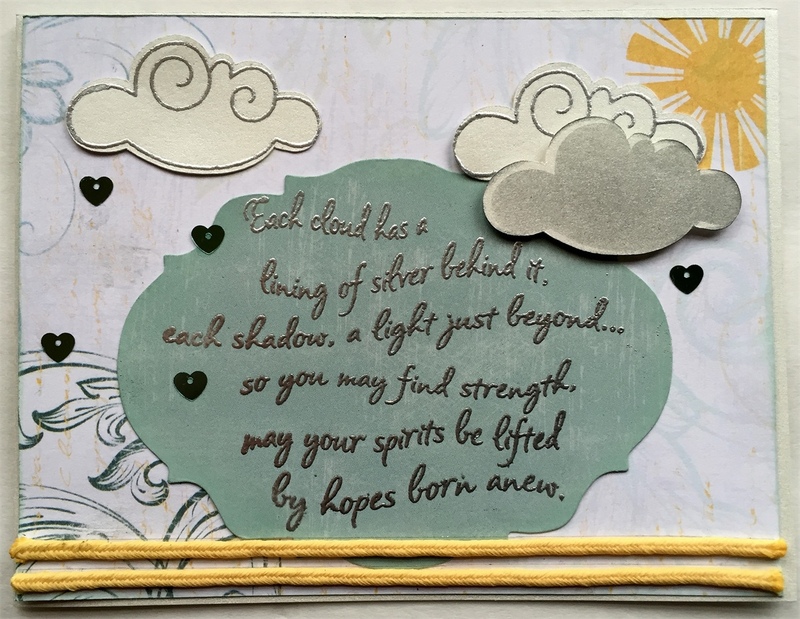 For my second card, I created the background using a template and masks. I used a template to cut the "hill" on scrap white card stock. Next, I used one side of the the cut to mask off the sky, chalked up the grass then I used the opposite cut to mask off the hill and chalk up the sky. Then, I die cut the clouds and sunshine and edged them generously. Once adhered in the position I desired, I cut off the excess. The Whistlin' Dixie 102 paper made a simply gorgeous sun and clouds! The other blue paper clouds are from the new Chiffon collection. 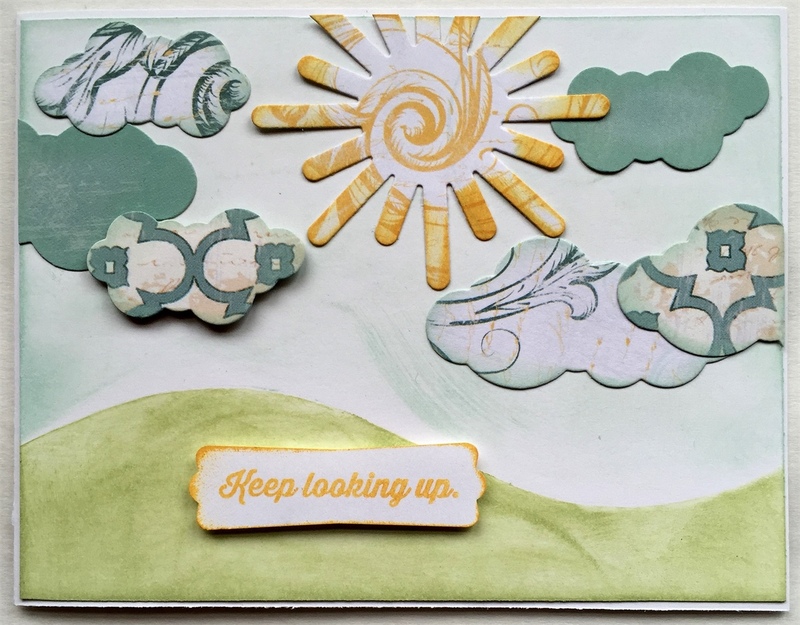 For this final card I really wanted the swirls and flourishes in the Whistlin' Dixie - 102 paper to represents the wind. 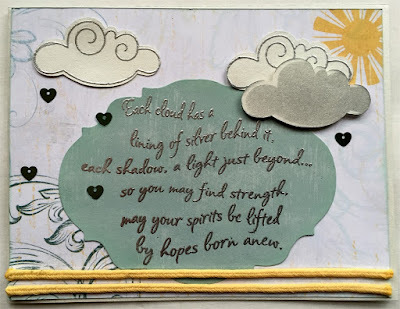 I stamped my sun right on the edge using the new Desert Sun - PowderPuff Chalk Ink. Is it Spring yet??? I hope I have given you some inspiration for this month's challenge. This month's challenge theme is "Welcome Spring" You can include clouds, rain, rainbows or anything obviously SPRING in design - be creative! If you live outside the US and want to play, you are responsible for any shipping costs for prizes won. Congrats to all the winners! Thank you for selecting one of my projects as a TOP THREE! Thank you for the wonderful challenge. WhooHoo! Thanks for choosing my card among the Top 3! Congrats to all the winners. Fabulous DT creations. 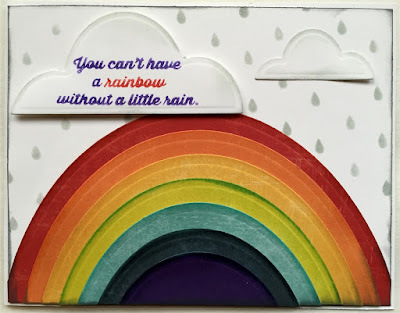 Love that rainbow! It really turned out amazing! Thanks for another fun challenge! Hooray! I won! Who do I contact about the $25.00 prize?